“but if a personalized approach is for the people”, says Wiley, “in the above mentioned model there is no active role for the learner in this “personalized” experience”. Feed Forward – participants were encouraged to share their work with other people in the course and with the world at large. Katz 1972: Open education movement is the commitment to humanistic values including self-determination, freedom of children and aesthetic appreciation. Paquette 1995: 3 sets of foundational values of open pedagogy, namely: autonomy and interdependence; freedom and responsibility; democracy and participation. Laura Gibbs and Stacy Zemke 2015: 1. open = agency — Learners are individuals and independent agents within the learning process. They are allowed to operate independently and explore with personal freedom./ 2. open = choice — Learners choose their own pace, their own direction, and their own connections./ 3. open = expansion — The learning network is an open-ended and ever-expanding network of nodes. Each node in the network represents is a connection, a possibility for learning. Everything in the network is a project./ 4. open = creativity — Openness translates to rich possibilities that inspire new perspectives and ideas./ 5. open = student-constructed — Learners take responsibility for their learning networks and are active participants in its planning and growth./ 6. open = open-ended problems — Learning design is focused less on specific outcomes or competencies than on process. It is about empowering learners to create real solutions to real problems./ 7. open: unmeasurable outcomes — Traditional outcome measurement implies the learning is static and closed./ 8. open = risk and goodness — Choosing often leads to unexpected and unpredictable results. While there is risk associated with the unknown, there is even greater reward and goodness. 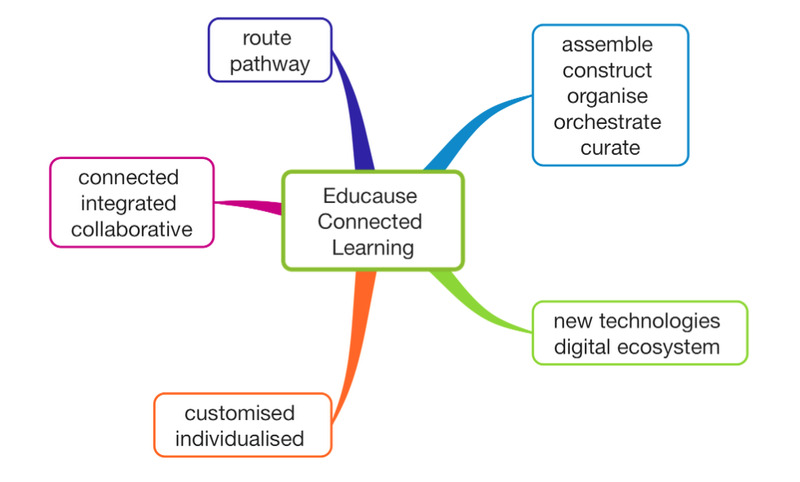 Wiley 2015: open= free+permissions/ free and unfettered access, perpetual, irrevocable 5R permissions (retain, reuse, revise, remix, redistribute), open= democratizes innovation, permits innovation (…) open pedagogy: a set of things you can do when outcomes, assessments, and resources are open that you cannot do otherwise (…) openness facilitates the unexpected. Teaching Presence: is here eliminated in favour of a more democratized approach to learning, one which places much greater emphasis on the community and learner empowerment. Digital Space: FOLC recognizes four fundamental dimensions of human-computer-human interaction (technical, informational, social, and epistemological/computational) and their accompanying competencies as prerequisite layers supporting SP, CP, and collaborative learning. It offers well-established practices for the selection and use of digital affordances to foster fully online community learning. collective identity and responsibility: to build interpersonal relationships; to promote distributed responsibility for refining knowledge through challenging feedback that triggers cognitive dissonance; to encourage divergent thinking. This is an Arizona State University (ASU) initiative in collaboration with edX to offer a full year of freshmen courses as MOOCs (for more click here) Students of these courses can buy their credit unit only if and when they are happy with their grade. The cost of a GFA class is 600 USD. Openness as transparency between students; communication between students and the outside world; interdependent relationships between educational institutions and external practices ( Dalsgaard and Thestrup). This paper asks if openness is a absolute positive. a. the binary between open and closed is false: closed is associated with hierarchy and repression while openess represents creativity and innovation, a total liberation from the constraints of formal study (…) all forms of openess entail forms of closed-ness (Edwards), educators decide what forms of openess are justifiable pedagogically and ideologically. Not-Yetness is a response to dominant discourse of using technology in education: accepting risk and uncertainty of practices in flux while setting boundaries and looking for alternative modes of openness in digital education where there is an emphasis on the learners’ connections and not just content. Openness as a quality of relationship amongst students, teachers, technologies, texts and an unknown audience. Example No 3: exposing learning to an unknown and therefore unpredictable audience (the agents beyond the course) may lead students to making decisions based on the awareness of that audience.